Sure it's not DSLR, but if you're working with a camera that lacks 60p, you might want to take a look at the Panasonic TM700. For those shooting sports and loving that whole slow motion look, this cheap little video camera might help add to your work flow. Vimeo member iamkalaniprince just posted this video up showcasing Panasonic's ability to provide smooth slow motion playback with Image Stabilization already built in to help with your hand-held shots. Camcorders are well known for their fast auto focus compared to DSLR's which makes this perfect for fast moving subjects. Not to mention it's got a bit of a zoom range in a tiny lightweight package. There's a built in 32GB hard drive, but also supports SDHC for more storage. Filter ring support for those ND and CPL's, Microphone input support and headphone monitoring are also nice additions, along with a crazy 3.45-41.4mm f/1.5-2.8 Leica lens (yeah they dropped the Leica name). You won't be coming in with the same Depth of Field look as a DSLR and possibly lack the low light abilities, but for an outdoor fast moving shoot that you can turn into butter smooth slow motion this looks like a fun little video camera. I'm waiting for someone to throw this footage into Twixtor next. Posted in Video I Like, Videography Gadgets. 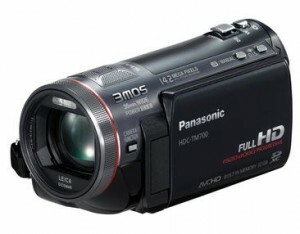 Tags: 60p camcorder, panasonic TM-700 on November 29, 2010 by Emm. Who doesn't get a kick out of a video streaming Wifi controlled flying toy? A friend of mine recently picked one of these Parrot AR. Drones up and I had the chance to fly it around. It's really tons of fun! Kids can easily learn to fly these things. The Parrot AR Drone is a remote controlled Quadricopter that streams real time video to it's controller so you can see where you're flying. The Wifi controller can be an iPhone, iPod Touch, or iPad (the iPad is really cool with it's large screen). It's easy to sync up once you've downloaded the Free remote application from the Apps Store. First turn on the AR Drone, and then turn on the Wifi on your iPhone, iPod Touch, or iPad. Connect to the AR Drone (it will appear as a WiFi hotspot). Once you've connected, go and launch the application and it will connect. Very simple and fast. The AR Drone Quadricopter is super stable and will automatically level itself out and stays in one place if the unit loses connection to the remote, or if you remove your hands from the controller. If you lose connection, just walk closer and then you'll be back in control. If the unit is too high and loses connection, it will return itself to a manageable height so you can walk over and get back in control. I believe it can scan the floor somehow to see what's below so it doesn't just fly off into space. Since the unit can level out and maintain a stable position, you can easily rotate turns in 360 degrees. The video stream is super fast, and as real time as can be. The video streams in amazing quality and very clear even in low light. The item comes with two different bodies. One is a foam cage that protects the units from rookie pilots. I'm sorry to admit, I crashed my friends unit into walls and it took a dive from 20 ft. several times. The drop was no problem with the foam cage, it's designed to protect the unit for training. If you should need some replacement parts, practically every piece of the Drone is for sale and looks to be easily replaceable too. This thing really takes a beating for sure. Once you're pretty good, you can swap out the foam cage for a more streamlined aerodynamic body. I think a few flights is all it takes to get the hang of it. Posted in Photography Gadgets, Random, Video I Like, Videography Gadgets on October 28, 2010 by Emm. Just caught a cool video shot on a Nikon D300s from Jeremy Mayhew. Jeremy has been using the SpiderTrax rotating video dolly quite a bit, and has found ways to use it outdoors quite effectively. I'm really impressed with the quality from this Nikon D300s considering it's not even a 1080 shooter. The look on the Nikon Macro lens is also very sharp with excellent bokeh. It's going to be interesting to see the quality of video that comes out of Nikon's new (T2i Competitor) the D3100 DSLR 1080p capable camera that's starting at only $699 w/ 18-55mm Lens. This new D3100 could give Nikon a larger market share in DSLR video, unless Canon releases something more exciting than the recently announced Canon 60D DSLR. 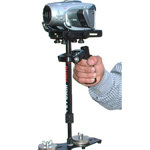 Posted in Cheesycam Skater Dolly, Equipment Reviews, Random, Video I Like, Videography Gadgets. Tags: lull, nikon d300s, nikon d3100, skater dolly, SpiderTrax on September 11, 2010 by Emm. kaydawgy snatched up a Flycam Nano DSLR stabilizer for approx. $120 dollars and threw up an awesome video demo for us to see the results. 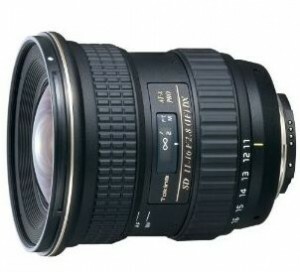 Using a Canon 550D / T2i and Tokina 11-16mm lens, the Flycam Nano performed pretty well. Of course, for more people we wanted to see more more more about the gear itself, so kaydawgy was kind enough to shoot this excellent gear review. Here you'll see what the Flycam Nano looks like and it's relative size to the camera. 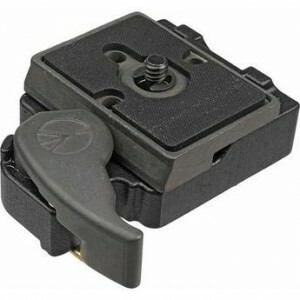 A quick release adapter was added, and if i'm not mistaken it looks like a Bogen RC-2 quick release adapter. With this setup, the Flycam Nano looks like it's just about at it's limit, in fact kaydawgy purchased two additional washers to get things fine tuned. This is a good video showing the size of the Nano sized handle. I'm wondering if at least a foam bike grip can slip over somehow to add a bit more comfort. I guess if it were any longer, it would just be banging against the lower sled. Thanks kaydawgy for taking time out for the review. Check out the video for more about the $120.00 Cheap Flycam Nano DSLR camera stabilizer. 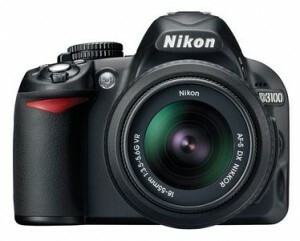 Posted in Canon EOS 550D T2i, Equipment Reviews, Lens Talk, Steadicam Merlin, Video I Like, Videography Gadgets. Tags: canon 550d, dslr stabilizer, flycam nano, kaydawgy, t2i, tokina 11-16mm on September 5, 2010 by Emm. Check out this new DIY spin on an old DIY trick from Nate Gallagher. Inspired from the crazy popular Wooden Shoulder rig in which the handle is rotated as a follow focus system, Nate Gallagher takes a simple gear box and some type of U-Joint and transforms it into his own clever Follow Focus whip. The main advantage this design has over the wooden rig is that the FF can be rotated 360 degrees. The whole shoulder rig is a bit raw in aesthetics right now, but mapped out well for functionality, and for me is the most clever 'DIY follow focus' since the Wooden Shoulder rig from Jonathan Clifford Bergqvist. Apparently these parts may have come from a previous salvaged item, and I'm hoping to get a bit more information on the parts used. Just by looking at it though, there's no reason you can't use the famous Traxxas Universal Joint (From RC Cars) made famous by WSCLATER for this type of Follow Focus whip. Posted in DIY Equipment, Video I Like, Videography Gadgets. Tags: DIY, DSLR, FF, follow focus on August 23, 2010 by Emm. Jarrod over at Just Basl Productions introduced his version of the DIY Spidertrax dolly not long ago, and already he's following up with another DIY tip. Using the same Strut channels as the Popular Cheesycam DIY DSLR Cage / Fig Rig, he's designed his DIY version SpiderTrax Dolly wheels to roll along the rail. He does a good informative video explaining how he put it all together. Not sure if he mentioned the price, but a single 10' strut channel might run you about $15.00 dollars. Cutting the strut in half would suffice for the length of track you'll need. Check out the DIY Spidertrax dolly on Rails video here. Thanks Jarrod, another fine cost saving DIY on a tool that's versatile, looks professional, and best of all dirt cheap. Posted in Cheesycam Skater Dolly, DIY Equipment, Equipment Reviews, Video I Like, Videography Gadgets. Tags: rotating dolly, SpiderTrax, Spidertrax rails, Video Dolly on August 8, 2010 by Emm. Posted in Equipment Reviews, Flash Photography Projects, Lens Talk, Video I Like. Tags: bts, cinevate, destination wedding, dslr video, Glidecam, radio popper, sato studio, satostudio on August 6, 2010 by Emm. Not long after I posted about Skydive.tv, local Bay Area Skydiving Videographer Bill Voelker sends in some footage shot with his custom T2i Helmet mount. Most people might think that a 5DM2 or 7D with it's magnesium frame would be a better fit for this extreme sport, but i'm assuming weight would be an issue, so the T2i does just fine. I wonder how that focus ring or zoom ring is all kept in place while dropping at that speed? Surprisingly all the footage is being shot with the standard kit 18-55mm and is getting some really great results. Who says you need to pay big bucks for great footage? 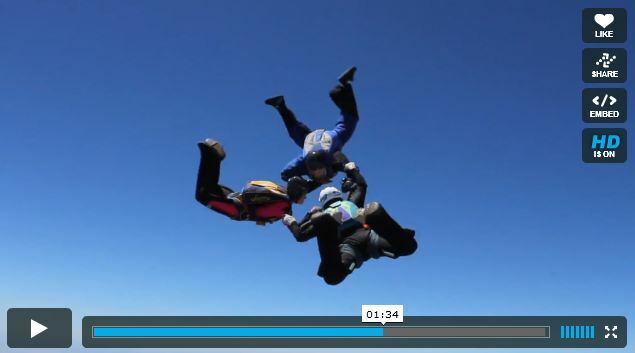 He mentions he's also been using a Steadicam Merlin stabilizer for additional footage on the ground shown in this second Skydiving T2i video here. If you're in the Bay Area and would like to test Skydiving out you might want to give Bill a holla! Very cool stuff Bill, thanks for sharing. Posted in Steadicam Merlin, Video I Like. Tags: bill voelker, sky diving, skydive t2i on July 28, 2010 by Emm.